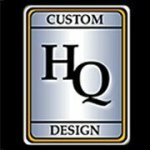 HQ Custom Design is the ultimate custom conversion of vans and SUVs, servicing luxury, mobility (handicap accessible), shuttle busing/ multi passenger people mover, and professional vehicle for mobile businesses. Our goal is to fulfill your transportation needs and offer the luxury, low cost of operation, and versatility you deserve. We pride ourselves in our design techniques, technology, and engineering expertise. We are always looking for new and innovative ways to produce the best custom conversion vehicles available on the market. HQ Custom Design guarantees you will be completely satisfied with the look, quality and functionality of your new fully customized vehicle. Allow us the opportunity to build you the Luxury Custom Conversion Van of your dreams. For more information and pricing on a Custom Conversion Van, please call and request a price quote.